A new supersaloon that will reach 62 mph (100 kmh) in just 4.0 seconds and push on to 193 mph revealed by ALPINA at the 2016 Geneva autoshow. 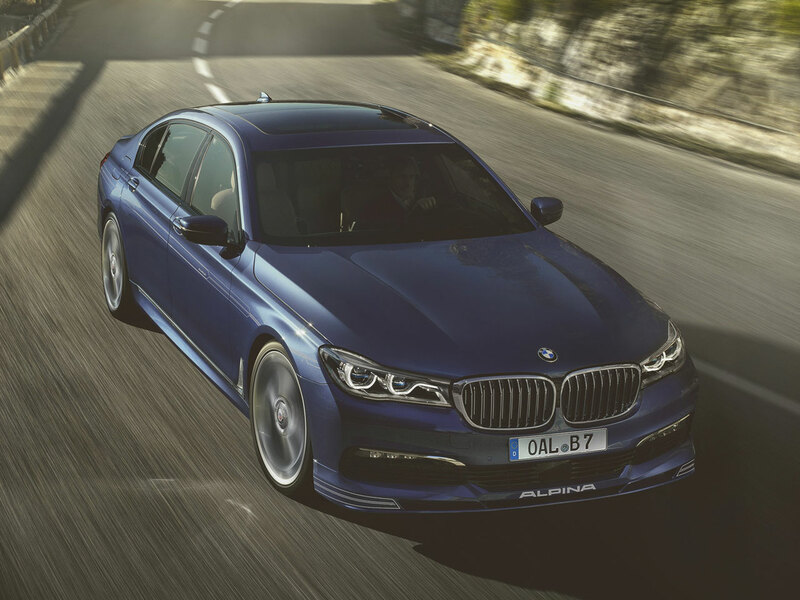 With an ALPINA-optimised 4.4 litre V8 delivering a remarkable 600 hp and 800 Nm (available from 3,000 rpm), the new B7 Bi-Turbo will be the most powerful and most luxurious model in the bespoke vehicle manufacturer’s range. One of the keys to this combination of comfort and handling is maintaining the lowest appropriate weight, complementing BMW’s investments in ground-breaking light weight technologies such as the new, high-strength Carbon Core, in which the vehicle’s A-, B- and C-pillars, the transmission tunnel and the windscreen header are all made from carbon fibre composite. To keep both sprung and unsprung mass down, further enhancing driving dynamics and ride comfort on the UK’s uniquely demanding roads, the UK-specification ALPINA B7 Bi-Turbo will be available only with Rear Wheel Drive. UK cars will also have air suspension, Active Roll Stabilisation and ALPINA-tuned active rear steering, which turns the rear wheels a maximum of three degrees the opposite way to the front wheels at low speeds and the same way at higher speeds. ALPINA has also invested considerable expertise in the engine. The highly-responsive, direct injection V8 uses two specially-developed twin-scroll turbochargers located between the cylinder banks, operating in parallel to deliver up to 1.2 bar with minimum inertia. Particular attention has been paid to airflow optimisation, with short intake paths and optimised radii to allow near-instant throttle response. An indirect intercooler system (air/water/air) further improves both power and responsiveness, with a main intercooler feeding the two large-volume close-coupled intercoolers. Together with additional radiators, the system ensures the thermodynamic stability of the V8 Bi-Turbo engine at all times, even under the highest sustained loads and most aggressive ambient air temperatures. Wheels are 20” ALPINA Classic 20 spoke with the option of a new, 21” design made from high-strength, forged aluminium with visible wheel bolts and no centre hub covers. 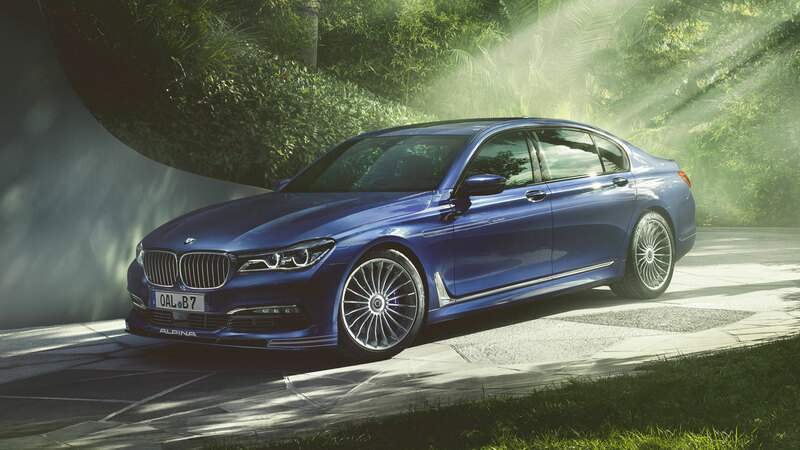 Aerodynamics have been optimised in BMW’s wind tunnel and are enhanced by unique ALPINA front and rear spoilers. The bespoke look is further enhanced by a four-outlet, light weight stainless steel ALPINA sports exhaust system that has been tuned to reduce back pressure as well as providing a choice of two driver-selectable, bass-focussed sounds. ALPINA’s work on the eight-speed automatic transmission is another reason for the exceptional acceleration of the new B7 Bi-Turbo. The result of extensive analysis and strengthening to ensure durability to high mileages - even with the very high torque output of the V8 Bi-Turbo engine - its immense strength means that the torque reduction commonly applied during upshifts is not required. ALPINA’s chassis electronics specialists have developed their own calibration for the Dynamic Traction Control system to ensure that the characteristics of the engine and transmission can be fully exploited for maximum performance and driver enjoyment. Inside, the new B7 Bi-Turbo can be specified with an almost limitless range of options. 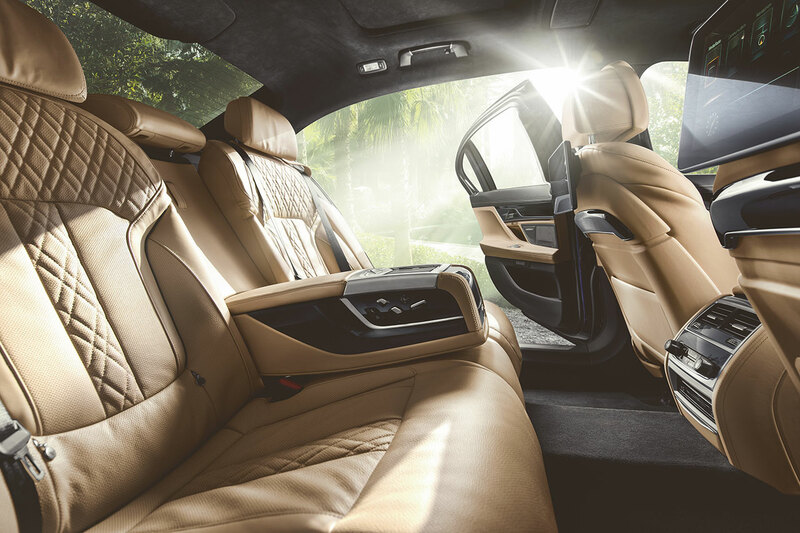 Standard equipment on UK-market cars includes high-end Nappa leather, a leather-covered instrument panel, ceramic applications on selected control elements, soft close doors, a full-colour Head-Up Display and a rear view camera. The driver’s connection with the car and its dynamic performance is enhanced by a sports steering wheel, hand-finished in exceptionally high-quality LAVALINA leather with stitching in ALPINA Blue and Green. Door sills are enhanced by ALPINA Blue illumination of the B7 model inscriptions coordinating with interior ALPINA Blue mood lighting features. 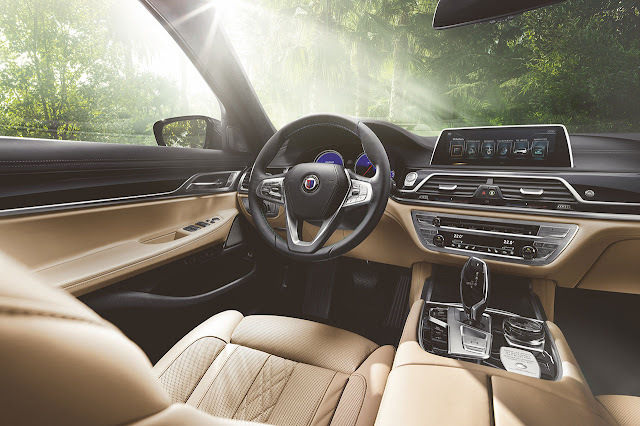 The unique ALPINA styling of the exterior can be enriched by ALPINA’s iconic decal sets along the sides and on the front spoiler, while the interior of each car is finished with a unique, numbered production plaque on the centre console. Very small numbers of this astonishing supersaloon will be available in the UK, with prices currently estimated as starting around £115,000. Like all new ALPINAs, the new B7 Bi-Turbo will be supplied with a two year BMW-endorsed warranty. ALPINA Burkard Bovensiepen KG was established on the 1st of January 1965 in Kaufbeuren. Two years later it adopted the now-famouse badge featuring a twin-choke downdraught carburettor and a crankshaft on a shield; a proud symbol of the company’s dedication to superb engineering. Today, ALPINA is one of the world’s leading manufacturers of high-performance luxury automobiles, selling on every continent yet still in numbers small enough to allow each car to be bespoke. Production reached 1,700 in 2014 – a new record – and there are currently no plans for significant volume growth beyond this.